For her fifth album, Once Upon a Dirty Ear, Highland musician and poet MacGillivray draws on a reverberant, melancholic soundscape; an alchemical mix of heavy electronica, toy piano, electric autoharp, grand piano and harmonium. Soaring above it all is her extraordinary voice: fierce then confessional, sultry then ethereal, simultaneously recalling the safety of the hearth and the exquisite terror of the Scottish wilderness. The voice is 'Sinead O'Connor meets June Tabor', ‘Patty Waters meets Elizabeth Fraser’: throw this Highland folk-noir vocal into a crudely sampled, beats-driven soundscape and you have an album that evokes the Gaelic clubland culture of Martyn Bennett's 'Move' and Chvrches 'You Caught the Light'. The idiosyncratic use of acoustic instruments alongside electronica is the product of a collaboration between producer James Young, (Nico, John Cale), post punk electronica pioneer Eric Random (Eric Random and the Bedlamites, Cabaret Voltaire) and MacGillivray in the making of the album. The songs on Once Upon a Dirty Ear all share the same bloodlines and carefully-crafted synthesis, feeling greater than the sum of their parts. Broken down to their fundamentals, however, they still never cease to deliver on wonder, awe and redemption. Wrapping the alien in warm melancholia, Night Skin is both startlingly complex and arrestingly simple, folding intricate synth passages into a marching drone that, in another dimension, could be compared to Susanna and The Magical Orchestra's pared-back Nordic cover of Love Will Tear Us Apart. Watergaw (Scots for a fragment of rainbow) is sparse, filled with an uncanny sense of wonder at silence. The space around the vocal is as important as the vocal itself, a sonic quality present on PJ Harvey's album White Chalk. Elsewhere, on Daniel Take A Bath With Me, MacGillivray’s voice hovers in glorious isolation, jewelled and resplendent as it rises and falls with sexualised biblical allegories. Single moments in The Trees Sleep Overtime purr with fairy-tale menace that slowly grows into technicolour intricacy, the voice interlocking in complex, mysterious harmony with the creaking midnight piano beneath. The menacing whisper which opens Lonely Gigolo calls to mind a lovelorn Bill Drummond - the arrangement building through a doom-laden stomp to a soaring lament suggesting Dead Can Dance or Cocteau Twins at their most epic. After 3 minutes, the fury is spent, and the song subsides into a spidery dance of death, nodding subtly to Gil Scott Heron's Me and the Devil. As in all MacGillivray's work, cameos of real life characters appear, this time not Nijinsky or Edison, but Annie Oakley in Annie O who performed in a special tartan suit in Glasgow with Buffalo Bill's Wild West Show and the immortal Lillian Gish - In My House There is a Gun was written in response to the 1928 silent film 'The Wind'. 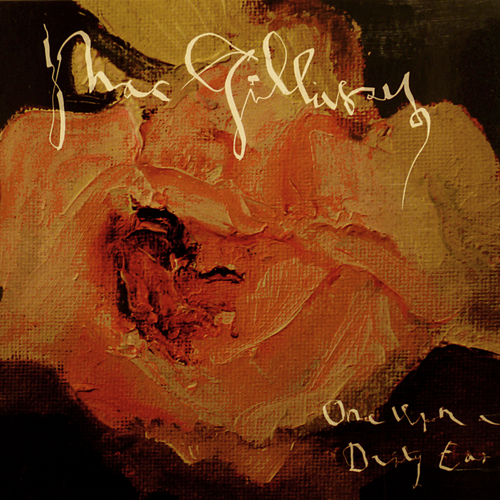 Once Upon a Dirty Ear is an epic; a sweeping, kaleidoscopic panorama, expertly crafted by MacGillivray and longtime producer James Young, whose uniquely experienced ear as musician and writer has helped the artist to hone her particular sound and whose song-writing and arranging skills are evident on the album in Annie O, When the Winter is Upon Us and Touched By Fire. Together, MacGillivray and Young draw from influences as diverse as Bronski Beat's Smalltown Boy, Dream of a Witches’ Sabbat from Symphonie Fantastique by Berlioz and underground visionary, Moondog. This is brave, uncompromising music. MacGillivray’s previous albums, Wolf (2009), Radiophonic Subluna (2012), Radio Beating Heart (2013) and Horse Sweat Chandelier (2014), have been released to critical acclaim – with The Wire describing Horse Sweat Chandelier as “a fine, mysterious record - shifting between chamber music, Gaelic mountain songs and dramatic chansons”. Her spellbinding performances have seen her appear on BBC Radio 3 and live alongside artists as diverse as The Fall, Shirley Collins, Jem Finer (The Pogues), Vic Godard and the Subway Sect, Soap&Skin, Thurston Moore and Current 93. MacGillivray’s passion for film led to the conceptual album Radiophonic Subluna (2012), created as a Surrealist soundtrack without a film, using voice changing equipment. Subsequently, her music appeared on the soundtracks for the films of British filmmaker Andrew Kötting. She appears alongside Alan Moore, Toby Jones and Iain Sinclair in Kötting’s latest film, By Our Selves, a retracing of John Clare’s journey out of Epping Forest. MacGillivray also appeared in 'The Cutting' based on the finding of the 2,000 year old Grauballe Man in Denmark by B. Catling (The Vorrh) and Tony Grisoni (Fear and Loathing in Las Vegas, Tideland, Red Riding, Michael Winterbottom). In 2014 she directed 'Aisling Sheòrais MhicDhmòhnaill: George MacDonald's Dream' a Scottish Gaelic film with a live score, shot on the Isle of Skye and screened in the UK with live performances.